When I’m exposed to good teaching, it’s difficult not to allow my cogitating to erupt in relative prose. How badly I want to convey the truths I’m learning but fear my attempts will be woefully inadequate. But alas, I’ve been exposed again and in my best efforts to internalize these truths, I’m going to try to explain them to you. And we’ll start right there…exposure. In the realm of eating disorders, which I am most familiar with, it’s not uncommon to lay blame at the feet of modern media. 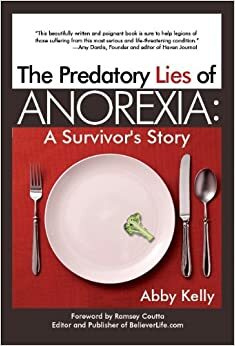 While television, magazines and billboards cannot be held solely responsible, that logic does explain why eating disorders have become more prevalent in recent generations and why they are more frequently found in affluent societies. A quick look at most magazine covers, or a blitz through the channels, reveals that today our youth are constantly exposed to unrealistic, if not dangerously unhealthy images and ideas. Our grandmothers were not exposed to Barbie’s bizarre dimensions. A girl’s sexuality was still considered sacred, not a bargaining chip for popularity, success and equality. Regarding sexuality, skin and bones was not considered sexually appealing—curves, soft edges, well-rounded hips and full-rosy cheeks were admired—not sallow complexions, hollow eyes and angular collar bones. History proves that we gravitate to, begin to approve and even see as normal the things that we are exposed to. But there are other evidences of the power of exposure. Post-slavery in the south, many slaves had difficulty adapting to a life of freedom. They had never been exposed to freedom; or more accurately, they had only been exposed to captivity. How was freedom to be managed? My niece is obsessed with the movie, Toy Story. Quite honestly, she never had a chance to consider other options. From the womb, she must have watched that movie 1000 times. It is her mother’s favorite, followed Monster’s Inc. Her frequent and limited exposure to a certain movie programmed her mind to accept it as the best. Even more so, because she has been so immersed in that movie, she naturally believes that everyone else has too—and that I too should know every character and phrase. Because of her exposure, she has assimilated a specific opinion of what is “normal” and “good”. Is there a way to harness exposure and use it to our advantage? Particularly in the field of eating disorders, can exposure be a useful tool for recovery? I think so, however, my musings run contrary to some popular methods of treatment. I was a treated at an inpatient facility for more than six months over three different stays at two separate locations. Without a doubt, I benefited greatly from the experts there and from the companionship and empathy of the other patients. However, just as we can be over-exposed to the elements causing dangerous side-effects like frostbite, sunburn, heatstroke or poison ivy, the dynamics of an inpatient facility create the possibility for over-exposure to eating disordered habits, unhealthy thought patters, unhealthy bodies—even too much empathy. It isn’t hard to see how anorexic roommates at an inpatient facility can feed off of each other. Regardless of hours spent in therapy, the power of exposure shows that there is at least great potential for constant, continued exposure to others who are unhealthy as well, to perpetuate the problem. Of course, this logic should not be used to negate the importance of inpatient treatment centers. I mean only to consider all the possibilities. After two moderately successful inpatient treatments stays, I relapsed—again. This time, I didn’t have the luxuries of money or time to return to a facility. For a while, I clung to life and sanity by my fingernails—by the grace of God. By His wisdom and mercy, He began to use the power of exposure to affect true healing in my life. Slow, progressive exposure to the elements can deaden one’s awareness to the side effects. So too, as God applied to my life gentle, progressive exposure to health, life, moderation and joy I barely noticed the changes happening in my mind and body. I remember a friend who struggled for many years with bulimia. She told me the story of her final, all-out effort to recover. Melissa asked a friend to go with her to a donut shop every single day. Every single day, Megan and her friend ate one donut and left. Through observing her friend and experiencing moderation herself, Melissa was repeatedly exposed to a new relationship with donuts—a previous binge food. Exercise addiction was a huge component of my own eating disorder. In fact, after managing it for a time, I made a choice to expose myself to a new group of friends—a running club. There is nothing wrong with those people. They were wonderful, kind and fun to be with. However, the constant exposure to conversations about running, races, stopwatches, intervals and long Saturday runs warped my mind. In no time at all, I suffered from overexposure to an unhealthy pattern and found myself on the fast-track to relapse. Suddenly, due to that exposure, running an unprecedented number of miles each week became normal and good—my mental and physical default. Fortunately for me, exposure worked again in reverse. We moved after about three years at that location. There was no running club in our new city. The streets near our home were not conducive to running and I didn’t know my way around the city to simply take off on my own (my proclivity to get lost helped me reduce my exposure even more). Almost by accident, my running tapered off. Other habits began to take over, other forms of more moderate exercise began to seem normal. When I finally decided that I wanted to be well, I terminated my gym membership too. I recognized by then that constant exposure to the environment of a gym had negative effects on my pursuit of recovery. Exposure to healthy influences has helped my recovery in other ways, too. I notice an increased sense of freedom around all types of foods after spending a week with my sister. Her enjoyment of food and intuitive response to hunger and fullness cues inspires and instructs me. When I cancelled my subscriptions to all of my health magazines, I immediately noticed a reduction in obsessive thoughts about diet, exercise and aspects of my physical appearance. Traditional forms of treatment have their place, and in many cases (including my own) are absolutely necessary. However, in conjunction and perhaps most effectively, in the wake of inpatient treatment, intentional, concentrated exposure to healthy elements can be the difference between recovery and relapse.